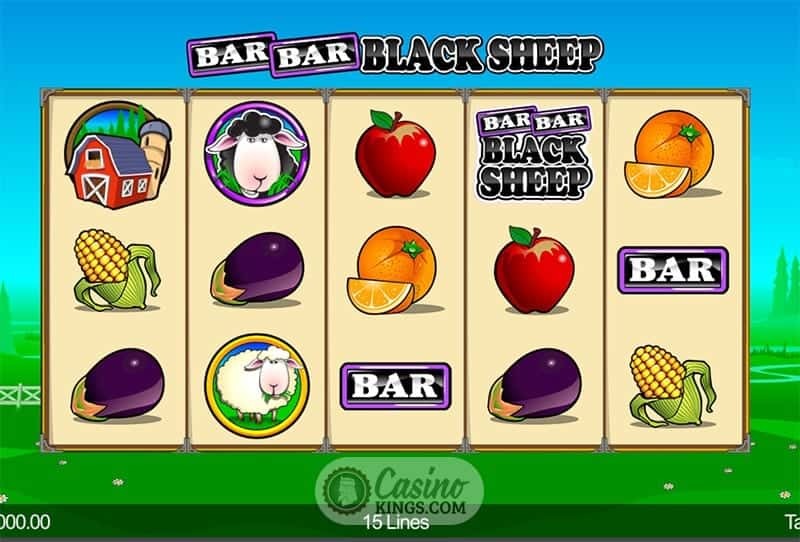 Ladies & Gents the Bar Bar Black Sheep Slot, Hmm. Interesting title, Microgaming. Are we to infer from this that these sheep of which you speak are heading to the bar? Or to multiple bars on a bar crawl? Is it one of the herd’s stag party? And if so, what blow up animal does a sheep take on his stag do? Perhaps the good news for us all is that this isn’t that kind of slot title. We’ll save that for our dreams. Right from the off it becomes very apparent that this isn’t that kind of title, and that isn’t the Bar we’re looking for. The Bar on show here is the Bar of classic slots fame, and so Microgaming melds a classic nursery rhyme with classic slots gameplay. Try the five reels, three rows and 15 fixed paylines on for size. That’s some damn fine classic slots action. And that action takes place in and around an idyllic and cute farm setting. It’s possible to achieve that on screen as they haven’t yet brought Smell-o-slots to our screens. The kind of visual storytelling that is Microgaming’s watchword is also on display in abundance. 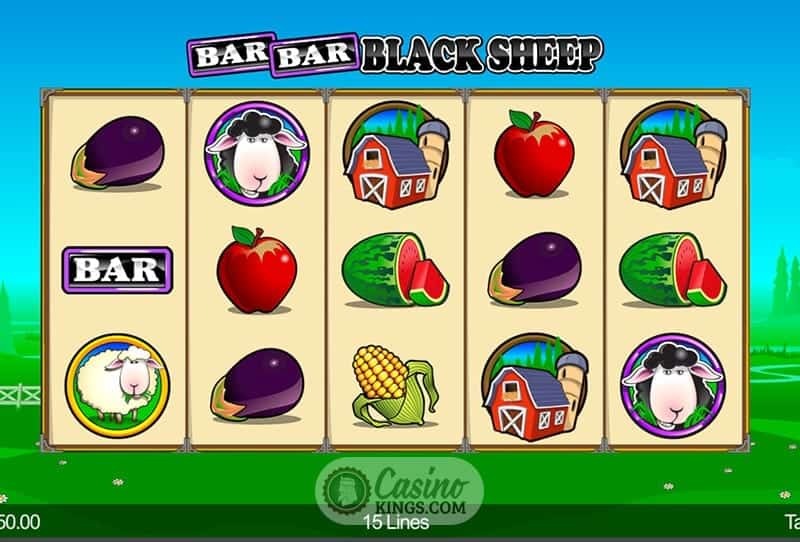 The Isle of Man-based outfit brings the nursery rhyme to life with a Black Sheep, White Sheep, Red Barn, Single Bar, Water Melon, Orange, Sweetcorn, Apple and what can only be an Aubergine. Maybe it is a stag party after all. 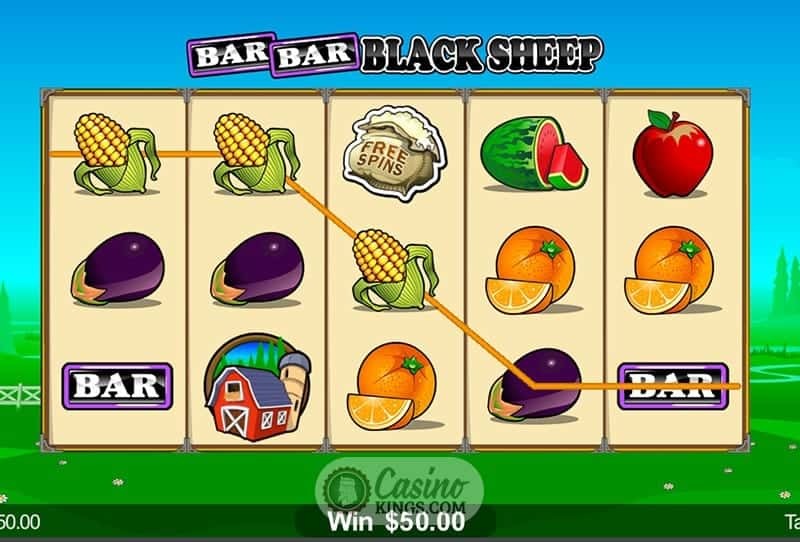 As random as this game is it’s only fitting that Bar Bar Black Sheep features a randomly activated feature – the Bar Bar Black Sheep Bonus. But how could this feature be triggered? Why, landing two Bars and a Black Sheep in a three-in-a-row combo, of course. It’s as cheesy as sitting round a campfire singing nursery rhymes, but it can leave as cheesy a taste as it likes with its award of a potential x999 multiplier. Did somebody call the police? Fortunately not. 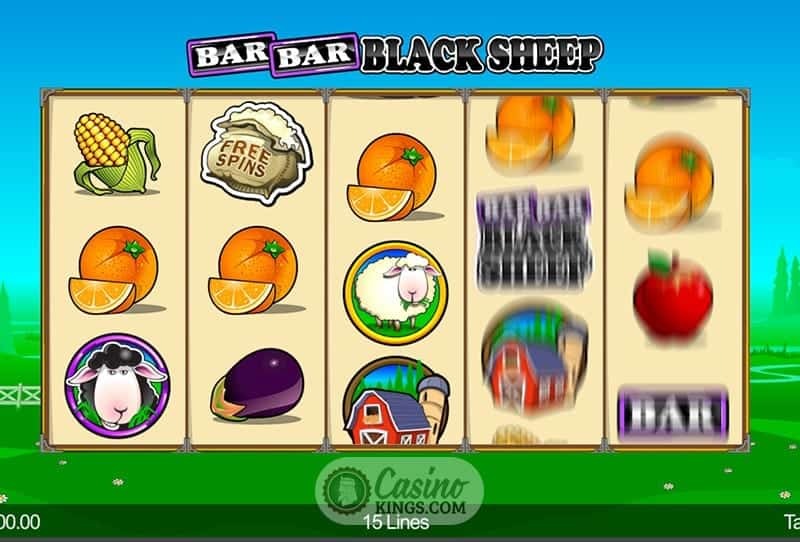 Instead we can focus on Bar Bar Black Sheep’s main bonus game – the Free Spins Feature. Landing three, four or five Scattered Corn Sacks launches the feature, granting us 10, 15 or 20 free spins. Not only do Microgaming triple all wins during the bonus game – apart from any randomly triggered bonuses as already mentioned – but have also made it possible to re-trigger the Free Spins. Well, aren’t they good. Microgaming are aiming for super-cute with this one, with no tongue-in-cheekedness on display, just honest, homely, classic farm slots fun. But with a potential x999 multiplier on the cards, what more do we need?